Memphis' best visual arts event. Click here to read more about it and download the application. FEAST (Funding Emerging Artists with Sustainable Tactics) is an annual public dinner designed to use community-driven financial support to democratically fund emerging art makers. MemFeast is Memphis’ local version founded and facilitated by Crosstown Arts, helping to rethink how the arts are financed and experienced communally. The mission of MemFeast is to support a diverse cross section of contemporary artistic and social practices, and to provide local artists with new opportunities to produce work that engages the community. Unlike many conventional grant programs, MemFeast brings people together for a communal dinner and conversation centered on creativity and innovation, where artists receive funding immediately and are enabled to make timely work. At each MemFeast, anyone from the community can buy a ticket for a locally sourced dinner, along with drinks and a ballot to vote on the night’s presentations. During the meal, a selected group of local artists make presentations of their proposed projects. At the end of the night, the audience votes for their favorite idea and the project with the most votes is awarded $5,000 (from the ticket sales and other sponsorships) to produce the work. Crosstown Arts will present the fourth MemFeast in collaboration with the V&E Greenline Committee and Vollintine Evergreen Community Association (VECA). Local artists, designers, and community members are invited to submit proposals for site-specific public art projects along the V&E Greenline, a 1.8 mile “linear park” and first “rails-to-trails” project in Memphis. 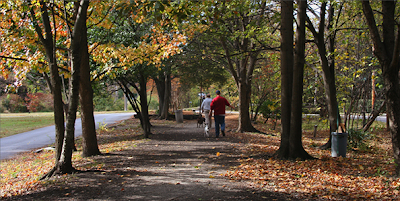 The trail stretches between the Sears building at N. Watkins & North Parkway, to Springdale St & Vollintine Avenue, and has intersections at Stonewall, Evergreen, McLean, and Jackson. MemFeast 4 celebrates the V&E Greenline as a sustainable stimulus of community in midtown Memphis, engaging a diverse range of users and uses both socially and geographically. To learn more about the V&E Greenline visit http://www.vegreenline.org. The MemFeast dinner will take place on May 18, outdoors at the intersection of the V&E Greenline and Tutwiler in the Vollintine Evergreen Historic District. Crosstown Arts seeks proposals for site-specific public art projects and sculpture installations along the V&E Greenline’s 1.8 mile long trail, stretching from North Watkins at the Sears Building at the western boundary, to Springdale Street near Vollintine Avenue at the eastern boundary. All Memphis-area artists, designers, and community members or teams of applicants at any stage in their careers are invited to submit project proposals. Project proposals should consider the V&E Greenline’s existing unique trail sections, design, public art (Rhodes’ Big Kids, etc. ), natural components and community-sustained features (gardens, etc. ); its various uses, history and mission as a community park; and the following issues: durability, feasibility, sustainability, the $5,000 project budget, and the deadline to complete and install the project by November 15, 2013. We encourage applicants to visit and experience the V&E Greenline, if they haven’t already, and submit proposals for innovative, engaging projects that respond to a specific point or section, or series of sites along the trail. Projects could be permanent or seasonal, experiential, interactive, functional, playful, environmental, design-oriented, sensory-oriented, etc. Proposals should include a written project summary with maximum of 600 words, mock-ups/sketches of the proposed project, budget outline, and samples of past work (see guidelines below). Three weeks prior to MemFeast, a panel of judges will choose a small group of finalists to present their proposal at the MemFeast event on May 18th. During the dinner, finalists will have eight minutes to pitch their projects to the crowd (i.e. presentation with audio/visual components, slides, etc.). The audience votes, and the winner is announced that night.